Intellectual property rights ® Reg. Trademark modastras All rights reserved. All copyright and other intellectual property rights in all text, images and other materials on this website are the property of modastrass or are included with the permission of the relevant owner. You may freely browse the website, but you are only permitted to access, download or use information from this website, including any text, image, audio, and video etc (hereafter called information) for your own non-commercial use. This is only to be done on the provision that you keep intact all copyright and other proprietary notices and that the above trademark notice appears on such reproductions. No reproduction of any part of this website may be sold or distributed for commercial gain nor shall it be modified or incorporated in any other work, publication or website. 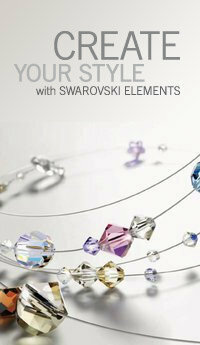 The trademarks, logos, characters and service marks (collectively "Trademarks") SWAROVSKI ELEMENTS, CRYSTALLIZED™ SWAROVSKI ELEMENTS, STRASS®, Swarovski, the Swarovski swan and the Swarovski logo, as well as Swarovski’s product labels are protected trademarks or trade names of Swarovski AG. Nothing contained on this website should be construed as granting any license or right to use any Trademark displayed on this website. Your use/misuse of the Trademarks displayed on this website, or on any other content on this website, except as provided for in these Terms and Conditions, is strictly prohibited. You are also advised that the Swarovski Group will aggressively enforce its intellectual property rights to the fullest extent of the law including criminal prosecution for serious offences.